Now that an increasing number of professionals at companies such as Apple, Amazon, Glassdoor, and Dell are working remotely from home or other unconventional locations, we wanted to know: will the remote work trend continue to grow in the future or has it already reached a plateau? To find out more, we spoke with Jim Palmitier, President of MyResourceLibrary (or MRL for short), the ground-breaking virtual library for the contract furniture industry. We reached out to Jim because we had heard they were heavily invested in employees who work remotely, including Jim himself. But first, we should take a moment to introduce MRL, whose company mission is to “facilitate efficiency in the contract market.” MRL provides tools for professionals working in the contract furniture market for streamlining the front-end ordering process, from design inspiration to providing a quote – and everything in-between. 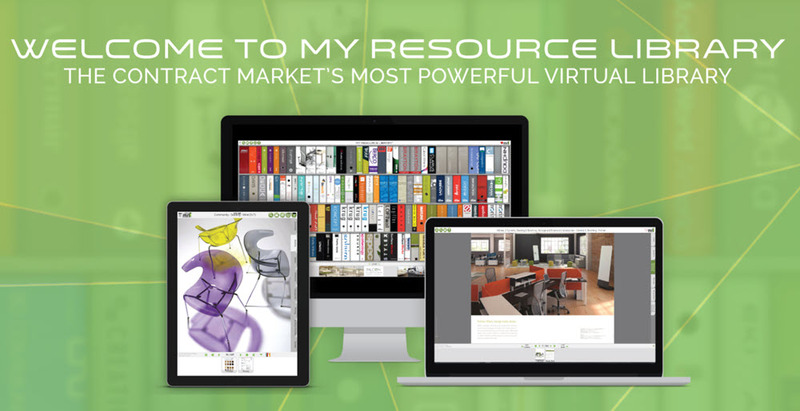 MRL’s Virtual Library platform allows users to find up-to-date information from all the major furniture makers, including Formaspace Office. Users can search MRL to find specific brands or find products in a specific category, such as office desks. They can also browse MRL’s “Fresh Ideas gallery” for settings-based inspiration. Users can then save their collections into custom “Project Binders,” which can be shared privately with their customers and partners. With that introduction out of the way, it’s time to ask Jim Palmitier our first question. We had heard through the industry grapevine that some of MRL’s employees worked at remote locations, but we didn’t know any of the details. We wanted Jim to give us some specifics on MRL’s hiring practices and the company’s attitude toward remote work. Another consideration is the virtual nature of their product, which falls squarely in the Software as a Service (SaaS) category. Jim notes that while the company is heavily engaged with furniture and interior design products, MRL itself doesn’t carry physical inventory. Instead, MRL’s Virtual Library and all the supporting data resides in the cloud, where it can be accessed from anywhere, including by the company ’s programmers, as well as its production, sales, and customer service personnel. In other words, as a virtual company, MRL can have ‘virtual’ off-site employees as well. Cost is another consideration, says Jim. To date, MRL only has 24 employees, making it a small (but growing!) startup company. Allowing a large number of employees to work remotely helps MRL keep a smaller footprint at their “bricks and mortar” headquarters, which in turn, helps reduce MRL’s overhead costs significantly. As we mentioned earlier, Jim Palmitier himself is one of MRL’s remote employees – an arrangement that some might find unusual, given that Jim is also president of the company. We wanted to know if there were any advantages (or disadvantages) about working remotely that he could share with us. Jim was quick to respond. Remote employees can help smaller companies provide better customer service, especially if they are located close to your key accounts. We wanted Jim to react to this and get his opinion on the state of collaborative culture at MRL. In response, MRL uses a variety of tools, from text messages and phone calls to collaboration-oriented software, such as OneNote, Microsoft Office 365, and Planner. At this point, we realized that Jim Palmatier has only given us positive answers. We wanted to know about the disadvantages of allowing employees to work remotely from home. “I know everyone says this, but it’s really true: we need to establish a proper work/life balance for our remote employees. In response, we’ve put together a policy for remote workers that includes recommendations on how to set up your home-based work environment and how to keep it separate from your home life.” It also includes specific recommendations, such as starting each day as if you were going into the office, taking lunch at proper mealtimes, and making time to “close yourself off” from distractions when you need to concentrate on work projects. That’s good advice. We have something to add to Jim’s comments: remote workers also need to consider the health benefits of using safe, ergonomic furniture in the home office. Formaspace Office has a full line of sit-to-stand desks that not only offer convenience (at the touch of a button, the entire desk worksurface moves up and down as a unit) but also important health benefits that come from changing from a seated to standing position throughout the day. While MRL has embraced the concept of employees working remotely, many other employers have not. We wanted to know why that is. Do other companies fear that remote workers won’t put in a full day’s work? As we saw at NeoCon 2018, the mashup of residential design influences and commercial office furniture design, collectively known as the “resimertial,” continues apace. We want to ask Jim what he thought about the current “resimertial” design trend as well as any other furniture design trends he’s spotted. That’s an excellent point. The resimertial trend could indeed have originated with remote workers. Jim also sees a generational shift at work as well, which he feels may be quite significant in the long term. “If you look at our industry, at the independent representation, and you look at the dealer principals across the country, they’re a very senior group. There is a gap between that senior level individual in our industry and the much younger Millennials,” says Jim. He predicts the changes from this generational shift will ultimately be much more impactful than whether an individual company employs remote workers or not. The Millennials and Gen Z workers want to make their mark – by pushing for major design changes in the office environment, such as introducing campus-style, open offices. Predictions for the Future: Will the Remote Work Trend Grow until it Becomes the Default Way of Working? In closing, we had one final question to ask Jim: What’s the future of remote working? Is it a trend that will reach a certain penetration among employers and stop growing, or will most of us work remotely at some point in the future? Jim Palmitier doesn’t think will happen any time soon, for a couple of reasons. But in closing, we can make our own prediction: we think we’ll continue to see growth in resimertial-style furniture, as corporate offices continue to emulate the comforts of working from home. We’d like to thank Jim Palmitier of MyResourceLibrary for the generous amount of time he spent with us, and we hope the conversation with Formaspace Office has been useful. At Formaspace Office, If You Can Imagine It, We Can Build It. Formaspace Office doesn’t just manufacture furniture for employees working in your corporate office, we can also create custom furniture designed for your employees working remotely at home. So remember, whether you’re at the office or working from home, Formaspace Office has the right solution for you. Check out our line of executive office furniture for inspiration. Or try our free Virtual Furniture Design, an interactive 3D design tool that allows you to build photorealistic 3D models of your Formaspace Office furniture online. 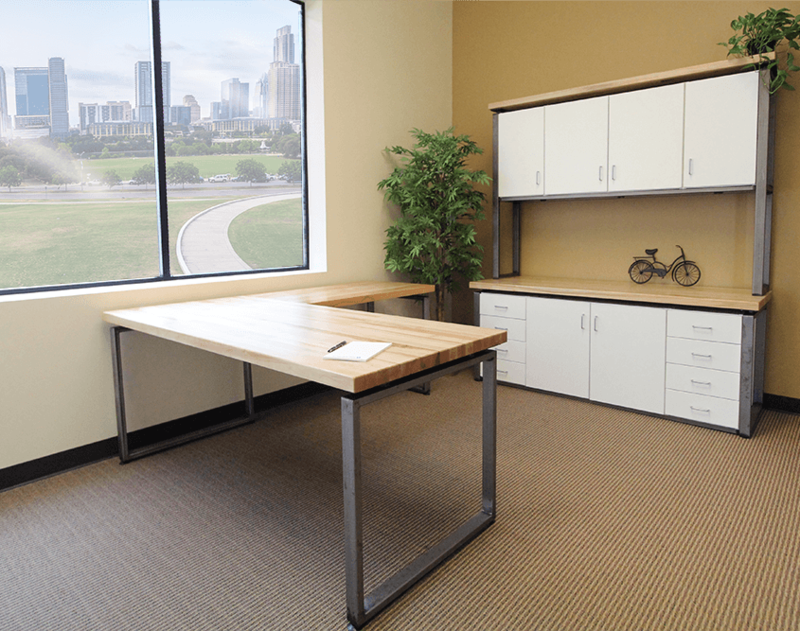 We offer a full line of standard, customized, and one-of-a-kind, fully bespoke office furniture – all made in America at our Austin, Texas factory headquarters. That’s why customers, such as Apple, Busch, Capital One, Google, Parabola, Twitter, and Yeti choose Formaspace Office. Why not contact one of our friendly Formaspace Office Design Consultants today for a free consultation. They can help you find the right custom solution to make your office work more efficient and enjoyable, whether you are in the office or working remotely from home!